While the MDGs have now been superseded by the Sustainable Development Goals (SDGs, 2016–30), there remains a consistent thread to the MDGs around issues such as eradicating poverty, preventing avoidable deaths and improving education. Furthermore, the interconnected nature of the SDGs means the MVP model also has relevance for those seeking to address extreme poverty by taking an integrated approach to sustainable development. 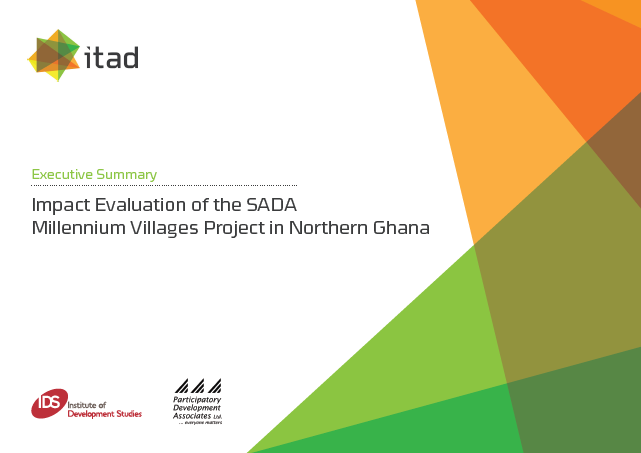 This executive summary summarises the findings from what we believe to be the first independent impact evaluation of the MVP approach. Read the full report, briefing papers and annexes on our resources page.